The Baltimore Police Department turned in its preliminary report on the arrest of Freddie Gray a day earlier than promised. The investigation revealed a previously unknown stop by the police van between Gray’s arrest and its arrival at the station. 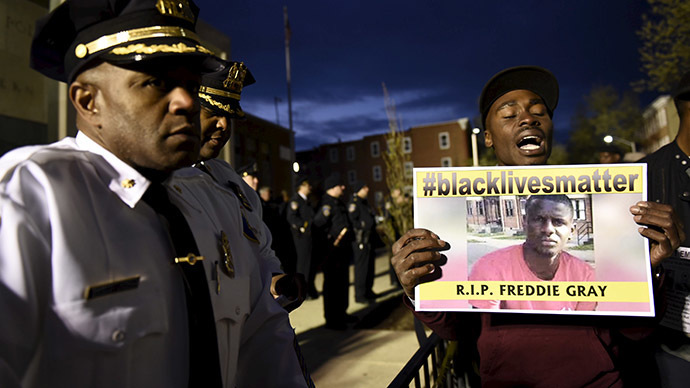 The report comes amid more than a week of protests following Gray's death in police custody. Demonstrations turned into riots on Monday, with buildings set ablaze and shops looted in Baltimore. The city introduced curfew and the governor called in National Guard, declaring a state of emergency. Gray, 25, was arrested by Baltimore police on April 12 for the possession of a switchblade, according to the charging document. Video of the arrest, taken by a bystander, shows officers on top of Gray, subduing him and then dragging him to the police van. The vanmade multiple stops on its way to Baltimore PD’s Western District station.Upon arrival, police found him unconscious in the van and called an ambulance. The investigation showed that the van made a previously unknown stop ‒ the second of four before its arrival ‒ at North Fremont Avenue and West Mosher Street, Deputy Commissioner Kevin Davis told reporters. Police used closed circuit TV and private cameras to track the route of the van, Davis said. Footage from a private camera revealed the additional stop. The van then stopped twice more, with the fourth stop being at the intersection of Pennsylvania Avenue and West North Street, which was the epicenter of protests earlier in the week, where they picked up an additional detainee. At the hospital, Gray was found to have three broken vertebrae and an injured voice box. He underwent emergency spinal surgery, after which he slipped into a coma from which he never recovered. He died a week later, on April 19. 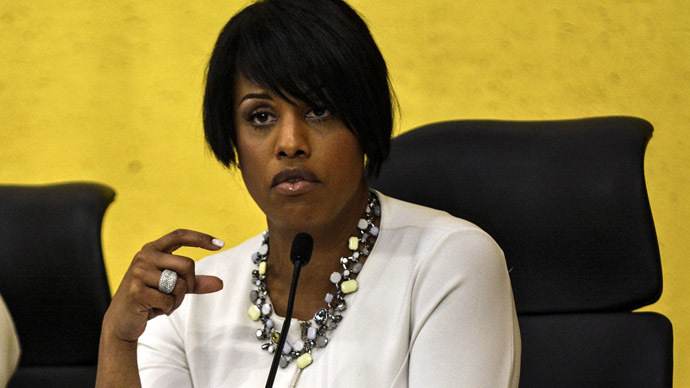 "We have been briefed regularly throughout their process while simultaneously conducting our own independent investigation into the death of Freddie Gray," State's Attorney Marilyn J. Mosby said in a statement Thursday afternoon. "While we have and will continue to leverage the information received by the Department, we are not relying solely on their findings but rather the facts that we have gathered and verified. We ask for the public to remain patient and peaceful and to trust the process of the justice system." Over 30 members of the Baltimore PD were assigned to the Gray investigation, including detectives, lab personnel and people from the academy. 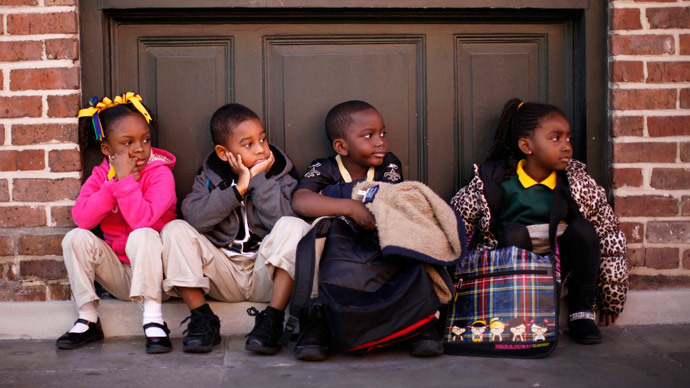 “This was their full-time job,” Batts said. Both Batts and Davis stressed that the investigation is still ongoing. 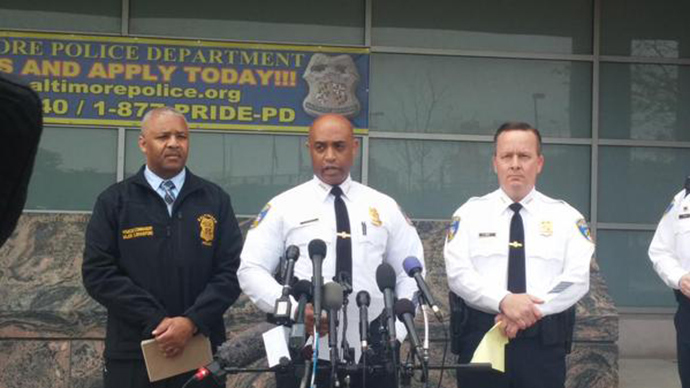 It is being led by Baltimore PD's homicide commander. "This does not mean the investigation is over," Batts said. "I repeat: This does not mean the investigation is over." Batts said previously that it could take 30 to 45 days to finalize the report. In the city of Baltimore, switchblades are illegal, which is not the case in much of the state of Maryland. “It shall be unlawful for any person to sell, carry, or possess any knife with an automatic spring or other device for opening and/or closing the blade, commonly known as a switch-blade knife,”Baltimore Code Article 19 §59-22 reads.